Business Analytics opportunities are numerous as major organizations adopt data-driven, technology-focused strategies across nearly every industry. 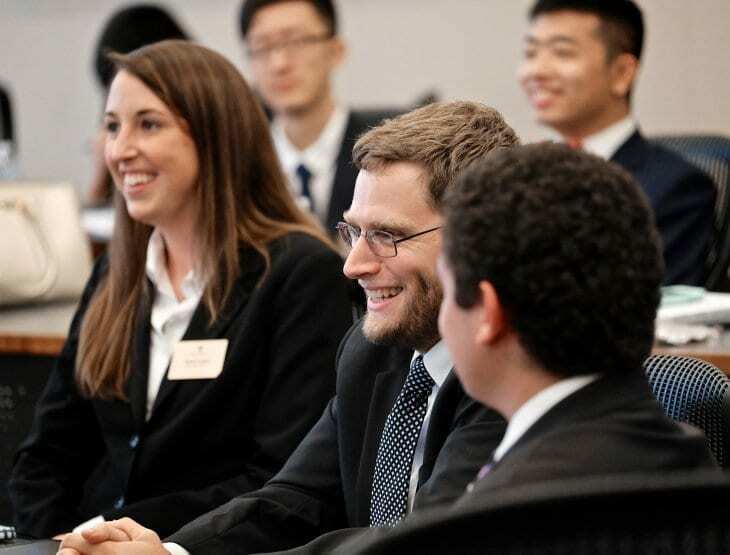 In the Wake Forest Master of Science in Business Analytics (MSBA) degree program, you will learn advanced methodologies to apply analytics to business challenges across a range of functions, including finance, marketing, operations and human resources. You will also learn the language of business and how to work successfully in teams while effectively communicating the results of your analysis. Bottom line – we develop problem solvers that can take data from insight to impact, and can add value to any organization from day one. Focus on experiential learning projects with our corporate partners and in-class use of actual retail data from our unique Center for Retail Innovation corporate partnerships. Differentiate yourself by building stronger communication, team work and leadership skills, and an understanding of the responsible and ethical use of data for making better decisions. Emphasis on training across the full spectrum of analytics methodologies with strong business knowledge from innovative courses such as Business Metrics and Analytics in the Boardroom. The Wake Forest School of Business has designed the MSBA program with the input of our corporate partners to meet their industry needs. Their feedback is clear — we need performance-ready analysts who demonstrate business knowledge and exceptional communication skills. To be eligible for the MSBA program, you must hold or be pursuing a bachelor’s degree from an accredited institution. Successful completion of coursework in calculus and statistics is required. Our program is designed for recent college graduates with limited or no full-time, post-graduate work experience. The Wake Forest MSBA program is STEM and OPT certified, providing enhanced employment opportunities for international students. The STEM and OPT certifications can allow students to work for three years in the U.S. while working with companies to obtain a work visa. Optional Practical Training (OPT) is a period during which undergraduate and graduate students with F-1 Visa status who have completed or have been pursuing their degrees for more than nine months are permitted to work for one year in the U.S. on a student visa with the goal of gaining practical training to complement their education. STEM Certification allows a 24-month extension of the post-completion OPT, and is available to graduates of the Wake Forest MSBA program. International students always have the option to use their training to pursue career opportunities within their home countries, or find U.S. companies seeking to fill positions overseas with MSBA graduates. The Wake Forest Market Readiness & Employment Center is available to all MSBA students to help define career objectives, improve interviewing skills and explore opportunities to launch the career you want.